For three generations, God's chosen people were exiles in the land of Babylon. Today, many Christians in America feel like exiles within their own country, and there is growing disagreement regarding how to live faithfully in this complex cultural moment. Some desire to conquer our Babylon and return to a type of Christendom they believe existed in an idealized past. Others seek to assimilate the values of our culture into the church. And in between are those who are uncomfortable with either extreme, who feel spiritually homeless. These exiles are looking for a new way of understanding what faith looks like in a polarized, pluralistic, post-Christian culture. 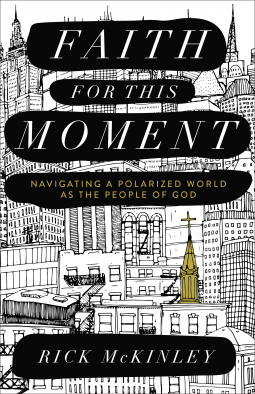 They want to know: What does it mean to be the people of God now? That's the question Rick McKinley seeks to answer. He shows exiled Christians how people of faith from other times and places discovered how to live faithfully, prophetically, and imaginatively, neither compromising their principles nor their compassion, and never giving in to despair.